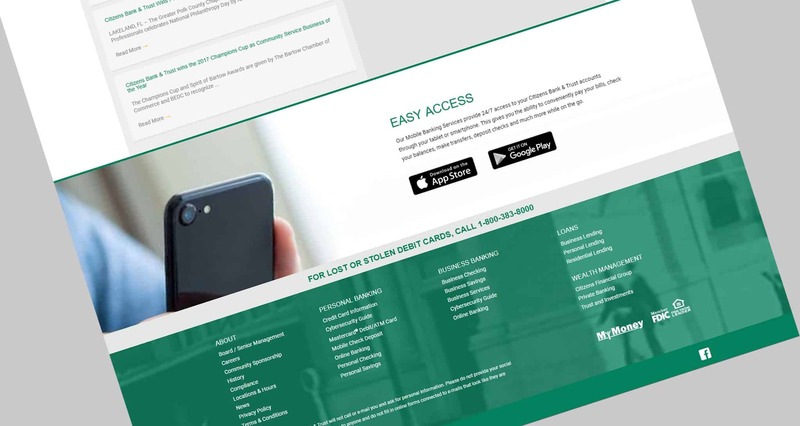 As a financial institution, it is extremely important to portray a fresh and modern look digitally to your potential clients across all platforms. 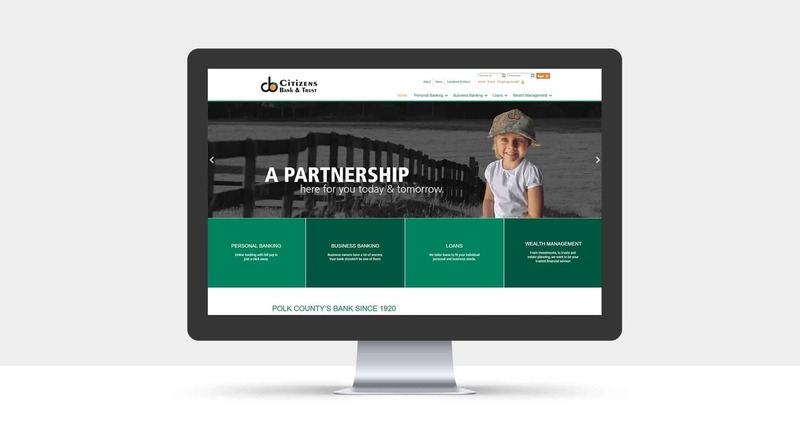 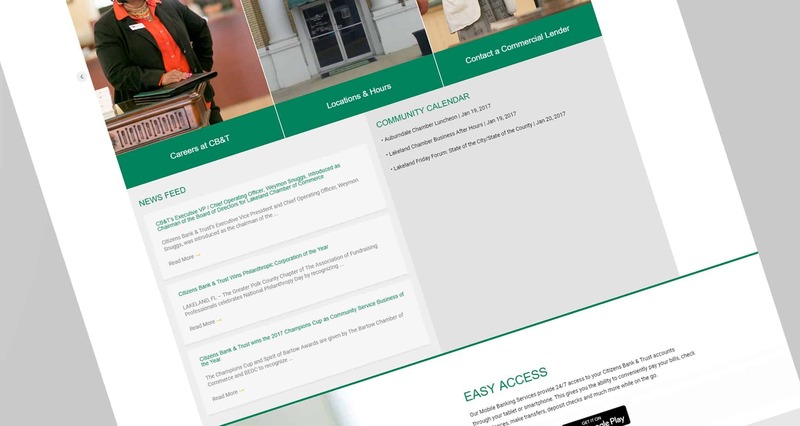 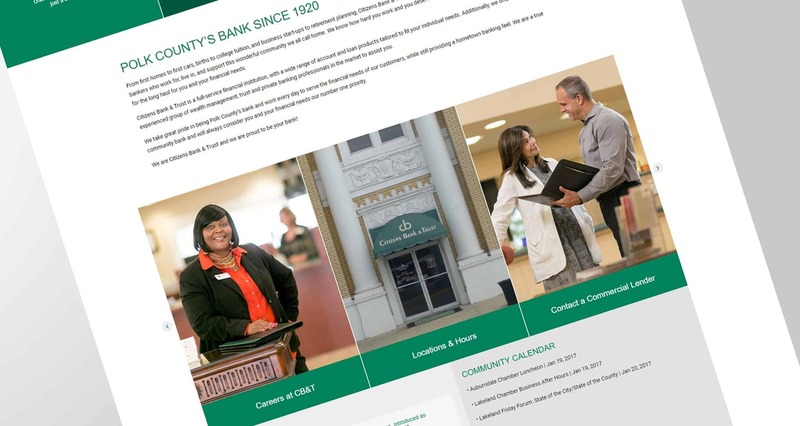 Our agency accepted the challenge to update and enhance Citizens-Bank.com, from copywriting and a retooled framework, to new photography showcasing employees and customers. 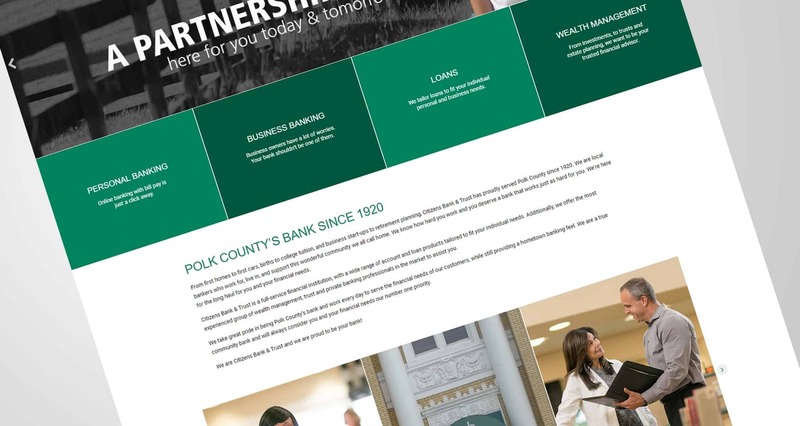 Clear and easy navigation that properly displays the bank’s services are key elements to this design.